After four excellent albums, Kelley stepped out from behind the astroPuppees moniker in 2010 to start releasing more personal recordings under her own name — often accompanying them with quirky little home-made videos that always add an interesting dimension to the music. I can totally relate to that. I love Kelley Ryan’s music. It has a playful pop sensibility at it’s heart with a prevailing layer of musical and lyrical sophistication as well. 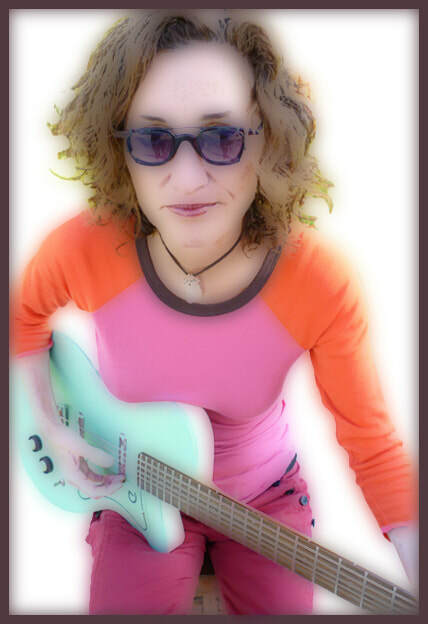 With help from friend’s like Don Dixon, Marti Jones and Marshall Crenshaw, Kelley always seems to be having fun playing with the “form” of music and pushing the limits of her songwriting. It’s that creative quest which compels me to make this Happy Medium Song of the Day a twofer — so you can hear where she started with songs like “Underdog,” and where she’s moved on to with songs like “Crack in the Sky” off her brand new album, Telescope.